Epiphone introduces the new Ceramic Plus™ humbucker, the next step in the House of Stathopoulo's ongoing crusade to merge the tone of the past with the tone of the future. Like Epiphone's critically acclaimed ProBucker™ pickups, new Ceramic Plus™ humbuckers feature 18% Nickel silver unit bases, bobbins tooled to exact Gibson specifications, Elektrisola Magnet wire, but instead are powered by Ceramic 8 magnets. Where as ProBucker pickups emulate the rich and subtle tones of hand-wound humbuckers from the late 50s, Epiphone's new Ceramic Plus™ humbuckers are high output modern pickups designed to provide a tight low-end response with both a smooth mid-range and a slightly more pronounced cut on the top end. Ceramic Plus™ pickups provide high output while still maintaining clarity and focus that's perfect for metal and hard driving rock. 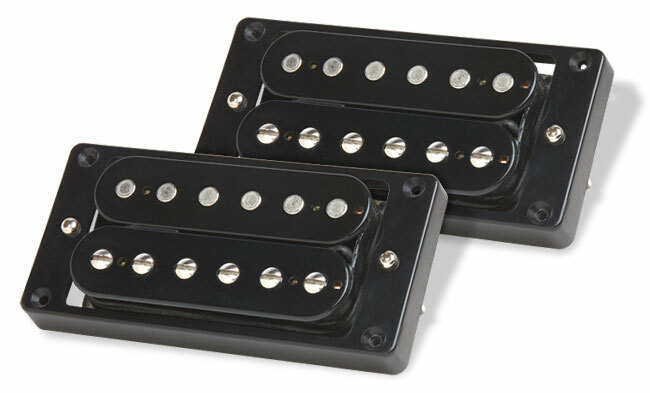 Ceramic Plus™ pickups also shine with incredible sustain, drive, and harmonic content at high volume. Modern hi-wattage amps are an especially good match with Ceramic Plus™ pickups, providing all the color and character of a classic humbucker but with the cutting drive that can keep up with intense volumes, fast and super articulate players, and more efficient modern amps. The first generation of humbuckers used Alnico magnets for the simple reason that they were dependable, available, and gave any guitar that used them tremendous power and subtlety. By the late 60s and early 70s, ceramic magnets became more readily available and as guitar-based rock became harder and edgier, the top players in all genres-- especially in the emerging genres of "metal" and "hard rock"--began looking for ways to step ahead of the competition. Ceramic pickups—then and now—provide an excellent alternative to Alnico pickups with their with their sharp, articulate, and more saturated tone. Early ceramic pickup designs were often poor sounding. Very little research or experimentation had yet taken place to discover how best to use ceramic magnets. They were typically used as a substitute for more expensive Alnico magnets. Even today, the mixed reception of those early designs gave ceramic magnets a bad reputation for almost a decade. 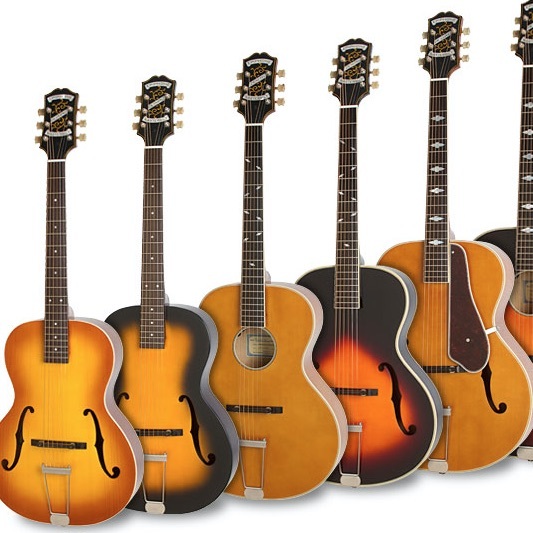 But as custom pickup designers discovered the unique characteristics of ceramic magnets, players began taking notice and pickups that used ceramic magnets started improving--and selling--in a big way. Modern rock's need for volume, drive, and for hi-wattage amps that could maintain crunch for long shows without losing punch and clarity created an ideal need for ceramic magnets in new custom pickup designs. "The physics dictates that when the impedance of a pickup increases the high end frequency response of the pickup decreases. As the need to drive amps further into saturation became desirable the use of Ceramic magnets to compensate for this loss of frequency response became a perfect fit." remarked Richard Akers, head of Epiphone Research & Development. "Simply increasing the impedance of a pickup while maintaining the use of Alnico magnets in most cases creates a muddy sounding pickup that lacks clarity. The use of ceramic magnets helps to compensate for this and adds clarity and focus to high output pickups"
And the new Ceramic Plus™ humbuckers are not just for high volume either. Get acquainted with cutting edge tone of Epiphone's new stellar Ceramic Plus™ pickups with the new Les Paul Classic-T, which also introduces the breakthrough Min-ETune™ system to the "king of electric guitars" without breaking the bank. The Les Paul Classic-T has all of the Les Paul's trademark features including a Mahogany body with a AAA Flame Maple Veneer top, a combination that has made hundreds of hit records over the last six decades. And with Epiphone's Ceramic Plus™ open coil humbucker pickups, Epiphone once again puts a new twist on the legendary Les Paul sound. There are more Epiphone instruments on the way with soon-to-be legendary Ceramic Plus™ humbuckers. 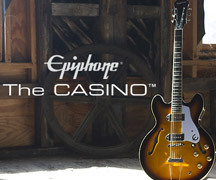 Check out the new Les Paul Classic-T and visit your Authorized Epiphone Dealer for details.